CLEMSON, S.C. — Hosting No. 5 Notre Dame (20-2, 7-1) in a Thursday night ACC matchup, the Clemson Tigers (14-7, 5-3) faced a tough 101-63 setback in Littlejohn Coliseum. 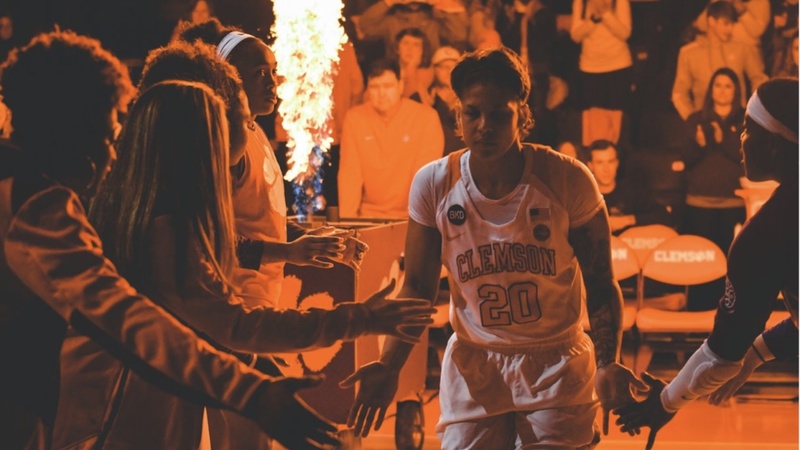 Senior guard Aliyah Collier poured in a season-high 22 points to lead all Clemson scorers. As a team, the Tigers shot 43.8 percent from the field for their 14th game shooting above 40 percent this season. The entire bench contributed to Clemson’s scoring as 10 of 11 Tigers sunk a bucket in the contest. Continuing to shine off the bench, Collier knocked down a season-best four 3-pointers for the Tigers, to go along with a team-high eight rebounds. Junior Kobi Thornton finished the night with 16 points on 8-of-11 shooting. Clemson forced several turnovers to spark a 9-0 run in the second quarter and pull to within seven, but the Fighting Irish used a 34-point third frame to gain control of the contest. Shooting 58 percent from the field, Notre Dame was able to pull away in the second half for the victory. With their eyes looking forward, the Tigers are set to face No. 3 Louisville on Saturday in Littlejohn Coliseum. The matchup is set to tipoff at 2 p.m. and is scheduled to air on ACC Network Extra.